I will be waiting new photos ! 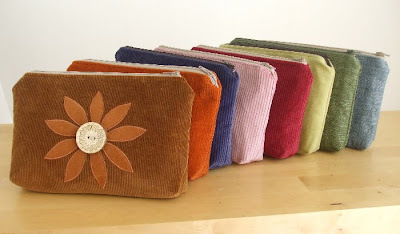 Amazing work, the pouches look so great all lined up - impossible to choose which one I like best! I'm honoured that you consider me your friend! Now I better run and warm up my sewing machine to catch up with you! They are very lovely Elisa!!! ...and beautifully done--I love the colors, the size is perfect, and they are simply gorgeous! These are so lovely, gorgeous colours as always. Very beautiful-I love these clutches.